Sanskrit is systematic, methodical & scientific in character. The beauty and charm of its dimensions and nuances is incomparable. 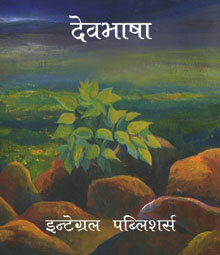 ‘Devabhasha’ is a unique Sanskrit Curriculum, which focuses on Sambhashaniya Sanskrit or Conversational Sanskrit. Sanskrit as today, and 60 years back too, was introduced to students in Class 6, at age 11 and taken away in Class 8, at age 13. The age at which the 2nd/3rd language can be learnt easily, is from birth to age six or seven. After that, it becomes much harder for a person to learn a new language. Children in that critical period have an almost universal success rate at achieving near fluency and perfect accent. The pedagogy used 60 years ago, continues to be used today. It consists of presentations of, or prescriptions for, translation. The medium of instruction is normally Hindi. The tables of conjugation are used as mechanical tools which serve as strict guidelines that keep away the joyous treasures of the language. As a result of this method of teaching, the child neither learns the language nor does he become fully capable of understanding the rich literature it possesses. Based on the premise that just as an infant learns his or her mother tongue effortlessly, s/he can also learn multiple other languages spontaneously and without much effort, if other languages are introduced at this early stage of a child’s development. Grounded on these facts, the Sanskrit curriculum and content underwent multiple improvements. Devabhasha is a product of this experimental exploration. The dream is to empower every child with the ability to understand and converse in Sanskrit. We want to develop and nourish simple conversational Sanskrit rather than the Sanskrit of scholars. In Devabhasha we attempt to avoid literary finesse but provide exercises for conversation, idiomatic expressions, letter and essay writing, paraphrasing and translation – all the main tools for linguistic proficiency. Copyright Devabhasha 2016, All Right Reserved.